The day never dawned. It kind of morphed into a somewhat lighter version of the night we just went through. Hourly line squalls, huge confused seas with winds up to 33 kts, and how do I know the wind speed? The wind vane perked up just in time to scare the crap out of me. Not much rain but a whole lotta wind, which would suddenly die, wait five minutes and start all over again. By 10:00pm Marce had had enough, I took over so she could get some sleep. 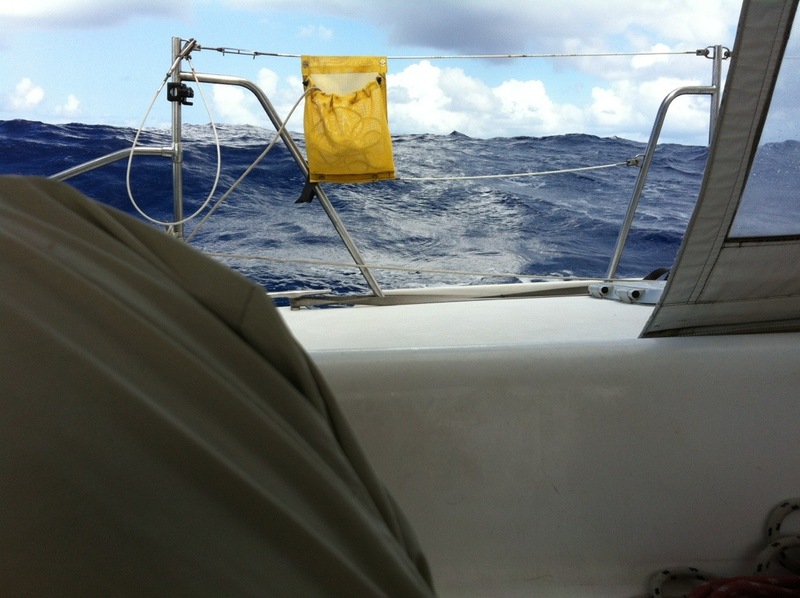 We’d left the second reef in the mainsail and without the electric winch there was not much I could do about it anyway. I kept her pinched into the wind just jogging along until the worst was over. Then I would bear off south until the next squall would hit out of the east and then head EV up into the near gale force winds. It kept me busy. We also had a visitor. The Goodfaith bound for Rotterdam at twelve kts and aimed right at us. AIS picked her up 18 miles away and said that our closest point of approach was .01 of a mile. That’s a first. 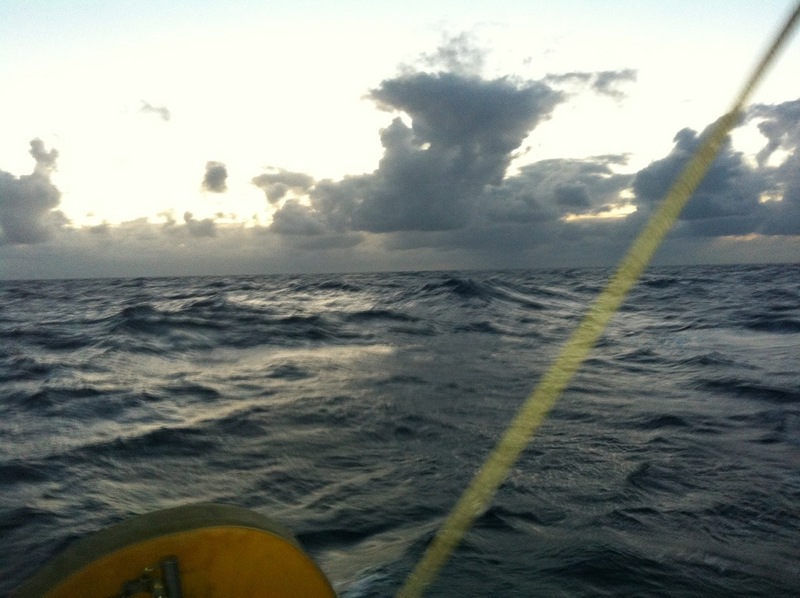 A squall came up and I feathered EV up close to the wind and we slowed down and let Goodfaith pass on her journey. Never even saw her. As I say, morning found us surrounded by deep dark low storm clouds. Nothing to do but soldier on. Sailing into one of these behemoths is a little daunting when your brain is screaming Run Away! We went through two early storms without much rain but plenty of wind, if the vane can be believed, and I think we’ve gained some confidence dealing with these systems even with our crippled sail controls. Still sailing 165 degrees south east into the wind. Hey what happened to that turn the corner and an easy reach to St. Thomas thing?